The pry bars in this 3 piece set are specially heat-treated for maximum durability. It is forged from premium alloy steel and features a corrosion resistant nickel plate finish. Made in Canada and backed by Gray Tools worry-free lifetime warranty. Contains: 13", 18 1/4" & 24 1/4 Pry bars. Speciality heat-treated for maximum durability. High visibility, oil and solvent resistant acetate handle. Bring the retro, laidback vibe of the South Pacific to your home with this amazing Fiji Bar Set. It features a stylized bamboo shaped framework and stools with built-in wine glass hangers and two behind the bar shelves. Perfect for entertaining, the bar is made out of a durable steel frame and Weather-resistant fabric that will last for years of enjoyment. 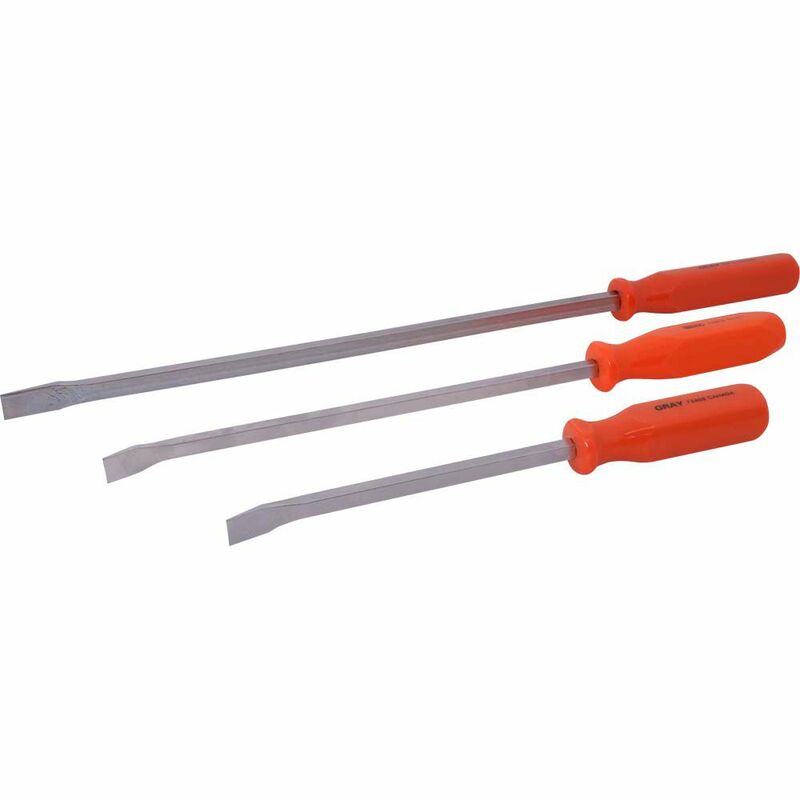 3 Piece Screwdriver Handle Pry Bar Set, Nickel Plated Blades The pry bars in this 3 piece set are specially heat-treated for maximum durability. It is forged from premium alloy steel and features a corrosion resistant nickel plate finish. Made in Canada and backed by Gray Tools worry-free lifetime warranty.